Recently, a clip of a young baller doling out one of the sickest pannas of the year went viral, and the world of panna enthusiasts stood up to pay attention. 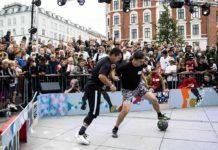 That kid was 13-year-old Mehdi Amri, who took the Belgium Street Heroes Tournament by surprise by sweeping the competition in his age division and becoming Belgium’s top U13 panna player. It all started one day when Amri and his two siblings were playing ball under a bridge. A passerby noticed his skills and gave him a flyer for Street Heroes. He competed the very next day and was taken under the wings of both M10 (the creator of the Akka M10) and panna legend Léamssi (who is also known as Zidane’s prodigy). Today, Amri is the two-time Belgian Panna Champion in the U13 bracket. 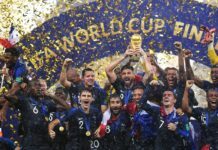 Amri’s growing popularity is also a sign of things to come—the rise of panna competitions and the development of a whole new generation of young talent specializing in innovative ground moves and showing up with impeccable technique.